Every year, Monrovia dentist Dr. Q treats patients for tooth and mouth injuries. 80% of tooth injuries affect one of the two front teeth, and mouth injures can include damage to the tongue, inner cheek, and lips. But, what exactly causes tooth and mouth injuries? Is there anything you can do to prevent them? Read on as Monrovia dentist Dr. Q explains how to prevent tooth and mouth injuries in toddlers and athletes – the most common individuals to experience them. Preventing Tooth and Mouth Injuries in Toddlers. Our adorable toddlers are always toddling and waddling, and often falling down. In fact, falling down while learning to walk is the number one cause of tooth injuries in toddlers. To prevent tooth injuries from walking practice, always try to stay within arm’s reach of your toddler as he or she is learning to walk, so you can catch your toddler if he or she falls. And try to keep the space he or she is walking in free of items that can be tripped over or slipped on. Once a child reaches a certain age, his or her baby teeth begin to fall out. And you might not expect it, but unerupted permanent teeth can cause tooth damage if they are obstructed by baby teeth or other permanent teeth. Always examine your child’s teeth, to check for teeth that may be coming in awkwardly. And if you suspect there is something wrong with your child’s permanent teeth, call Monrovia pediatric dentist Dr. Q right away. Preventing Tooth and Mouth Injuries in Athletes. For teens and adults, 40% of all tooth and mouth injuries occur while playing sports. But it is possible to play your sport safely, while also protecting your teeth and mouth. First, you should always wear a mouth guard, and Monrovia dentist Dr. Q even recommends you come in for a custom-fitted dental mouth guard, which will protect your teeth better than those one-size-fits-all mouth guards bought and at athletic stores. If you are unable to get a custom-fitted dental mouth guard, you should opt for a boil-and-bite mouth guard from an athletic store. With these mouth guards, you boil the plastic until it is moldable, and place it in your teeth to fit it to your mouth’s unique shape. Whatever mouth guard you use, it’s important to wear it all the time. In the sport of football, for example, mouth guards are estimated to prevent 200,000 mouth and teeth injuries every year! Another important way to prevent tooth and mouth injuries from sports is to wear a face cage, especially when playing certain sports and sports positions such as football, baseball catcher or hockey goalie. Face cages prevent the ball or hockey puck from making contact with your mouth, potentially preventing serious injuries to your teeth or mouth. What Am I Going to Do if My Tooth Gets Accidentally Knocked Out? If your tooth gets knocked out, it’s important that you see a dentist immediately, typically within an hour of the tooth being knocked out. First, use water to rinse off any debris from the root of the tooth. If possible, place the tooth back into the open socket. If not, place the tooth under the tongue or in a glass of milk. Monrovia patients who are immediately seen by their dentist after a tooth is knocked out do have a good chance of having the tooth permanently replaced in their mouth. However, if your tooth can’t be saved, dental implants, which go into your jawbone, can help you maintain the function of your tooth while protecting your beautiful smile. 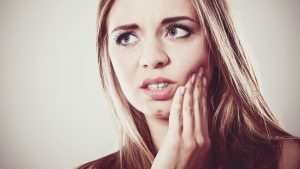 If you have questions about tooth or mouth injuries, or how to prevent them, it’s important to connect with Monrovia dentist Dr. Q today. Call her to schedule a consultation at (626) 599-9819.